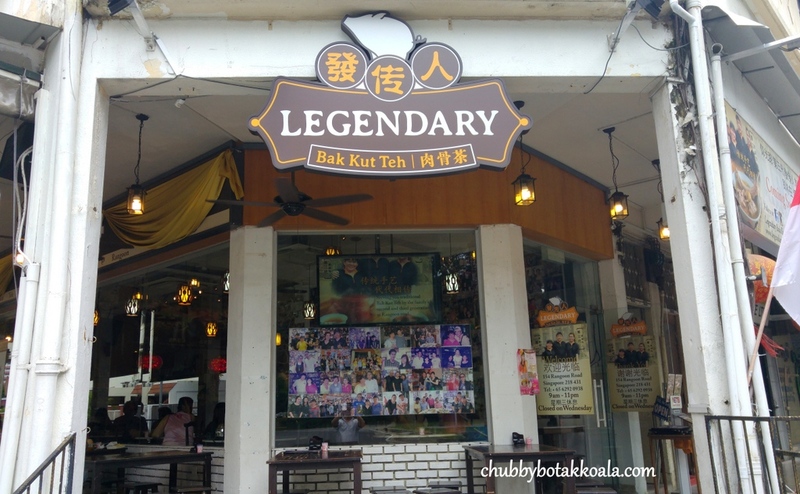 Legendary Bak Kut Teh's first outlet is at 154 Rangoon Road. 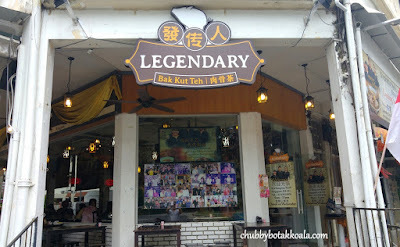 Before it started using the name Legendary, it is known as a branch of Founder Bak Kut Teh. Helmed by the daughter of Mr. Chua, this branch has established its own characteristic and followers on its own. 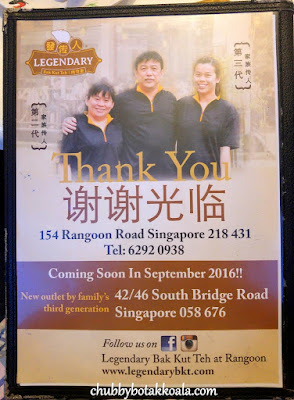 LD and I have been a regular here for a while, so when we drop by in 2016 we saw the change in name. With a little probing, the second generation Miss Chua, known as Chui Chui (I should call her Auntie Chui Chui) let us know that the original shop is going to a different direction. Therefore, Legendary Bak Kut Teh ('Legendary') is born. She currently managed together with her husband and daughter. 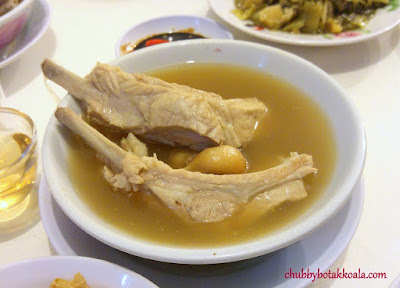 Their best Bak Kut Teh here is their long ribs. Legendary Bak Kut Teh ($11.50). The combination of the meat and fats is just perfect. The meat falls off the bone easily, but it retains a good bite to it. The broth is clear, robust, filled with the sweetness of the pork and garlic, plus the most comforting warmth from the pepper. For us, it is just right and absolutely delicious. Yummy!! You can have the normal ribs starting at $8, combo $9.50 and short ribs at $10.50. We just prefer the glorious long ribs. The best companion BKT, of course, is the You-Tiao / Fried Dough Fitters $2.50. 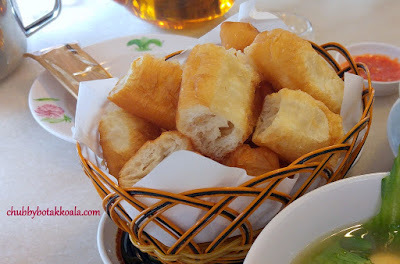 The you-tiao here is served hot, like it just come out from the fryer. It has a crisp exterior and soft pillowy interior. It is fluffy and absorbs the broth nicely. For internal organs, we tried their Kidney ($8) and Liver ($8) before. 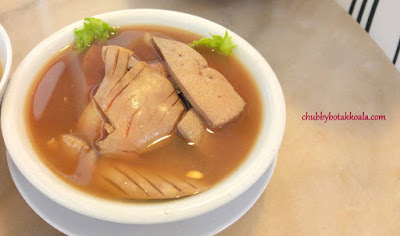 You can also order a combination of kidney and liver ($8). The most consistent texture is the kidney. It is crunchy and cooked just right. The only problem is their liver. Most of the time it is just right, but some other time it can be hard, instead of smooth and melts in your mouth. 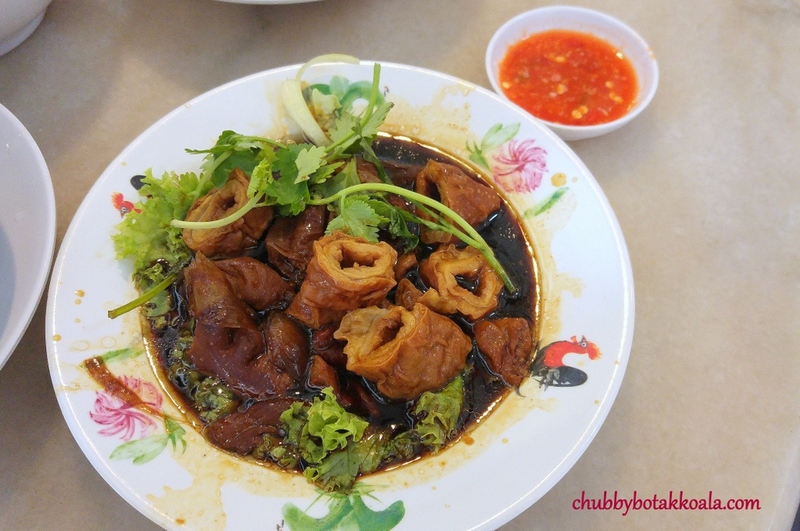 Their braised pork intestines ($8.50) another dish on their menu that is worth ordering. It is well braised in dark soy sauce, absent of any gamy flavour. I can only hope that the braising liquid got more OMPH in it, so it will help to flavour the rice. The atmosphere of the shop is bright and filled with natural lightings during the day. The walls are covered with photos of Auntie Chui Chui or the management team with celebrities that have visited their shop. This definitely shows the popularity of this shop. Service is friendly and efficient. Most of the time Auntie Chui Chui or her daughter will check on the customers and make sure the dishes are up to standard. If it is not, they will gladly replace the dish, no question ask. Definitely an excellent service in my book. 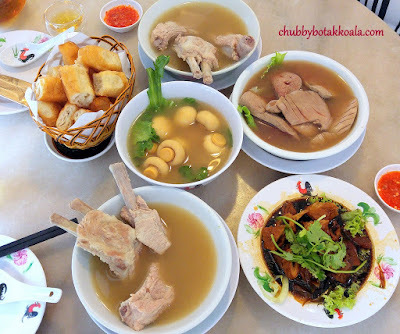 Overall, this shop is definitely in the top 3 Bak Kut Teh shop in my makan list. It is our regular grub place and highly recommended by Chubbybotakkoala.com. Cheers! !